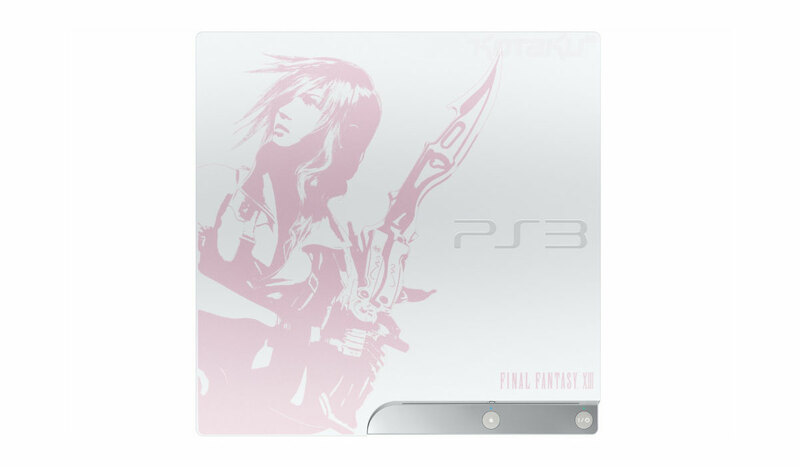 Pictured yesterday at TGS 2009 was a white 2009 Final Fantasy XIII 250 GB PS3 bundle. It features a pink outline/drawing of main character Lightning on the front. It is set to be released in Japan on December 17, 2009. The bundle includes the white 250 GB PS3, one Dual Shock 3 Controller, one copy of Final Fantasy XIII, and all other included standard cables. I would love to purchase this, and if I have the money before this is released, I will. I think the white PS3 slim looks very slick, and I like the subtle pink on it. I doubt that the states would ever see this bundle, but one can hope!